Families change so quickly from the excitement of the first positive pregnancy test, the anticipation of a growing belly, the small wonder of a newborn, and the many milestones met within the first year. You want to remember some moments forever...But they seem to be so fleeting once the hectic times of midnight feedings, sibling squabbles, and shuttling between activities all begin. It becomes so important to record these special times through photography which can be preserved in albums, shared with family, and displayed in a gallery wall within the family home. For convenience to our busy growing families, we are happy to offer in-home photo sessions. We will gladly bring a professional portable photo-studio to your home. This allows for families to be in their own environments where they may be more relaxed and natural. It's incredibly special to capture such intimate elements within your home, especially their sweet nurserys. If you choose to come to our studio, we feature space for both indoor and outdoor sessions. We carry the best collection of designer dresses, outfits, props, accessories and backdrops for all personalities and memories you hope to capture. The studio’s central location in Oakton, VA allows us to serve families as a newborn photographer, baby photographer, maternity photographer in metropolitan Washington DC, and surrounding Virginia and Maryland. At Nataly Danilova Photography, we have anticipated your every need, so the only thing you need to have with you for your session is your good mood and smile! We will take care of the rest! I look forward to meeting you, and will be happy to become your family photographer. Please contact me with any questions! Welcoming a baby into the world is hands down one of the most exciting events in life. The journey to motherhood is unlike anything else women get to experience, and there is something so magical about watching bodies grow and change to accommodate the life inside. I love capturing these moments for my clients and their families in Northern Virginia, and am so honored to be selected as one of the best in the business by Expertise. In 2017, Expertise picked me as the best maternity photographer serving Fairfax county, and now in 2018, for the second year in a row, they’ve named me as the best in Fairfax county again. It is such an honor to be recognized for my work because I am so passionate about what I do! I really enjoy getting to know my clients and delivering them photos they will treasure for years to come. I think it is so important to document these once-in-a-lifetime moments. It’s essential to celebrate the milestones, embrace the changes, and soak in the details because they don’t last forever. The dark under eye circles, the new mom glow, the ever growing bump- there is nothing as beautiful and sacred as pregnancy and I am so glad I get to share in the experience with so many of my beloved clients. I absolutely love what I do, and I am honored to be recognized yet again by Expertise as the best maternity photographer in Fairfax county. 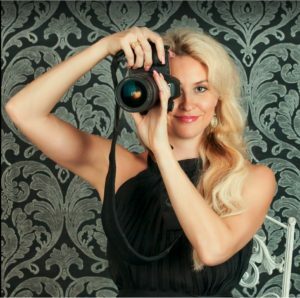 I am so exited to announce that I am now the Best Maternity Photographer in Fairfax County, Virginia.